37183 PER1248.jpg 500X638\PER1248.jpg 37705 PER1248_1 (Copy).jpg 500X638\PER1248_1 (Copy).jpg 37182 PER1248_2 (Copy).jpg 500X638\PER1248_2 (Copy).jpg 37704 PER1248_3.jpg 500X638\PER1248_3.jpg 37703 PER1248_4.jpg 500X638\PER1248_4.jpg 41725 PER1248_back preview (Copy).jpg 500X638\PER1248_back preview (Copy).jpg 51862 Zoom Packaging Mug.JPG 500X638\Zoom Packaging Mug.JPG Send A Hint! 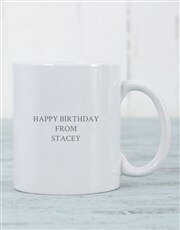 Product Description: less text Spoil the birthday girl or boy with this cute mug gift! 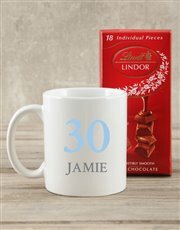 A mug is branded with a unique number design which is also personalised with a name for that special touch. 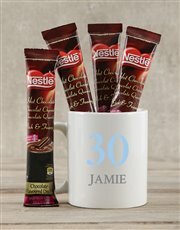 Purchase the mug as is, or throw in some Toni's Tea (8pc), Cuban Coffee, a Lindt Slab, or Nestle Hot Chocolate sachets (4). 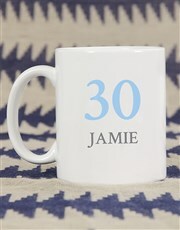 Send now! Get this Personalised Number Birthday Mug delivered with NetFlorist.